World famous boxer, Deontay Wilder has revealed that he wants a rematch with his British opponent, Tyson Fury as soon as possible. WBC heavyweight champion Deontay Wilder on Tuesday said he was eager for a rematch with Tyson Fury, after the two undefeated boxers fought to a thrilling, but controversial split decision draw on Saturday in Los Angeles, Reuters reports. The American knocked his opponent down twice, including a brutal takedown in the 12th round, but the towering Fury controlled much of the fight, leaving some not least the Briton himself to claim he was robbed by the judges. Wilder said he wanted a rematch “ASAP’’ to settle the question of who was the better fighter, adding he would be willing to take on the former champion as early as March or April. But on the contrary, promoters suggested it would not come that soon. “There are so many opinions, so many mixed emotions surrounding the first fight,” Wilder said. “The second fight is all about proving a point. Who won the first fight? That’s enough right there to get you excited,” he said. Fury said on Saturday that he also wanted a rematch. Wilder said the bright lights of his first pay-per-view fight and a crowd of nearly 18,000 fans, caused nerves that led him to hunt for a knockout as opposed to staying with his game plan. “I got over-anxious to knock Tyson Fury out,” said the 40-0-1 Wilder, who has won 39 of his fights by KO, usually with his deadly right hand. “The fight was easier than it seemed. He was ducking me when I was overthrowing my punches,” he said. 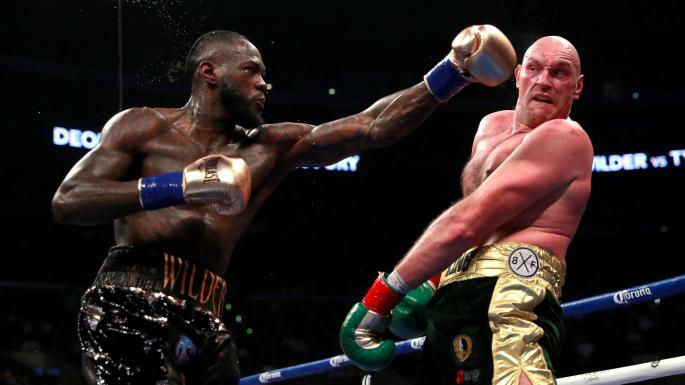 Wilder said being more than 50 pounds lighter than Fury at the time of the fight and the after-effects of surgery on his right arm, also contributed to his sub-par performance. While Saturday’s fight was ruled by a draw, Wilder said the sport of boxing, particularly in the U.S. was a winner. “My ultimate goal was to bring the heavyweight division back here in America,” said Wilder, who won a bronze medal for his country at the 2008 Olympic Games in Beijing.